I scream for FREE ICE CREAM! Go over to the Nestle Drumstick Facebook Page. "Like" them and go under the "Raise a Cone" tab. 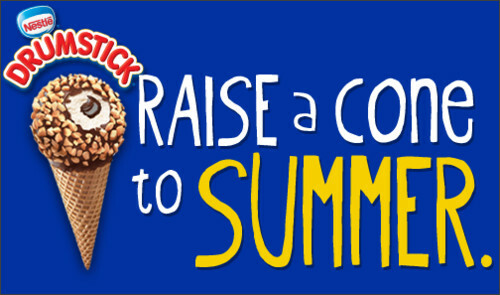 Fill out your info to get a FREE Drumstick Ice Cream Cone coupon in the mail! Allow 4 to 6 weeks for this offer to arrive in the mail. This offer is not available to those in CA, CO, LA, TN & NV. Bummer.